The Royals Club is an integral part of our club, open to all past players, officials, friends and supporters, men and women, who want to be part of our great club. We look to this group for support and experience to keep the spirit of good clubmanship and mateship alive and well in the Sandringham Baseball Club. The first Royals Club Lunch for 2018/19 coincides with our opening round match against Melbourne. Kicking off at 1pm on Sunday 30th September, our first lunch will be a big one, with guest speaker Sandra MacKenzie. Sandra MacKenzie is well known to those in golfing circles as a pioneer women’s golf, as an international golf commentator for 27 years in Australia, Asia, South Africa, United Arab Emirates, New Zealand, UK and Europe. 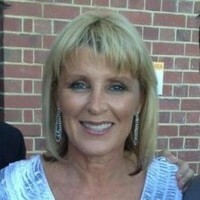 She has also been President of the Australian LPGA, and a great professional golfer and teaching pro. Her insight into the world of golf will be fascinating and we are looking forward to hearing her talk. Joining the Royals Club is easy, reach out to Peter McFarlane on 95893450 or at peterandsandra25b@bigpond.com. Being a member costs $120 and entitles you to lunch and beverages on Royals Club days (3 planned for this season), and the chance to listen to a guest speaker. In the past, we have had sporting identities such as Tony Peek, Nathan Burke, Nicole Livingstone, Mack Horton, and Liz Alexander speak at our lunches. For more information on the Royals Club, check out Royals Club.